Paul Van Soelen, age 86, died January 16, 2019 at the Village at Legacy Pointe in Waukee, Iowa. 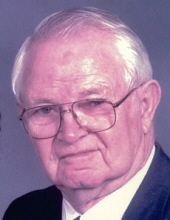 Paul Van Soelen was born on November 10, 1932 the son of Leonard and Alta (Van Hal) Van Soelen in Sully, Iowa. He graduated from Pleasantville Consolidated High School in 1951 and enlisted in the United States Navy. After an honorable discharge from the Navy, Paul began working as a switchman for the telephone company. He enjoyed camping, traveling the world with his wife and helping others. Paul was a founding member of the University Christian Reformed Church. Paul is preceded in death by his wife, Pearl; daughter, Linda Lundquist; parents; and two brothers. He is survived by, daughter; Marcia Hamby of Des Moines; two sons, Dan (Kirsten) Van Soelen of Ames and Keith (Theresa) Van Soelen of Jacksonville, Florida; his son-in-law, Brad Lundquist of West Des Moines seven grandchildren, Matt (Stacey) Lundquist, Bryan Lundquist, Marissa Hamby, Kayla Hamby, Adrienna Van Soelen Tyler Johnson and Hannah Johnson; four great-grandchildren and one sister, Ruth Tibboel of Des Moines. In lieu of flowers, memorials may be directed to the Trinity Christian Reformed Church, 3626 Ontaria St. Ames, Iowa 50014. To send flowers or a remembrance gift to the family of Paul Van Soelen, please visit our Tribute Store. "Email Address" would like to share the life celebration of Paul Van Soelen. Click on the "link" to go to share a favorite memory or leave a condolence message for the family.